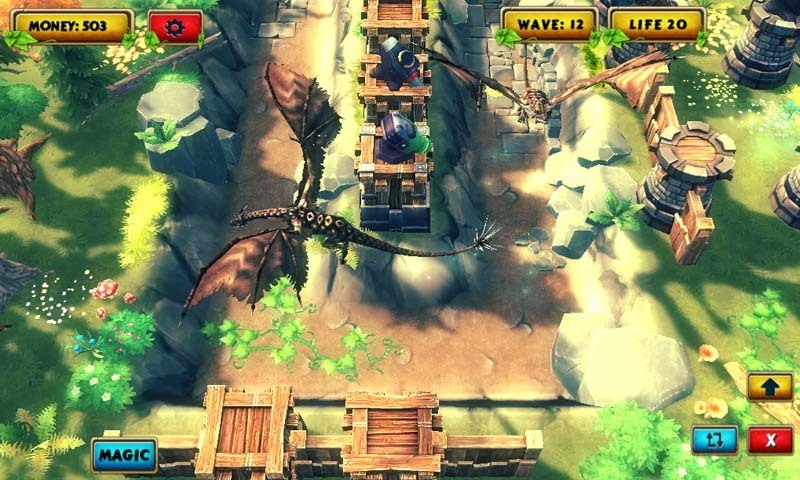 Legendary Tower Strategy TD is 3D fantasy, strategy, arcade, defense game. Your aim is to survive 30 waves of various enemies. Every enemy is weaker to specific tower attack. There are four tower attacks classic, magic, elemental and poison. Monsters have also different armor types such as heavy, light and unarmored. Every enemy gives you gold if you kill him. You also gain gold at the end of each wave based on your performance during previous wave. You can also get gold from treasures that you find on map. Became a legendary hero lord commander who defend his castle and kingdom. Find optimal strategy to win ( evolve your style ). Be swift and avoid a danger from rush defeat. Enjoy this game of epic journey of infinite madness.